Managing Director ? Lehman Brothers Inc. ? 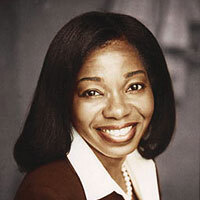 New York, N.Y.
A managing director at Lehman Brothers Inc., Patricia Miller makes sure that the New York City investment banking firm leverages the business case for diversity. She is the co-founder and co-head of the firm?s Partnership Solutions Group, which develops opportunities for minority- and women-owned business enterprises. The group recently launched Lehman?s first private equity emerging manager fund, which will invest more than $100 million in M/WBEs. It is one of the accomplishments of which Miller is most proud. ?It?s an opportunity to show why and how diversity matters,? she says. Miller also serves as the co-chair of Women?s Initiatives Leading Lehman, or WILL, Lehman?s 2,000-member women?s affinity group, which is involved in recruiting women and developing the careers of women at the firm. As a child growing up in Lilesville, N.C., ?the prospect of Wall Street was not on my horizon,? Miller says. But the hardworking, honest, achievement-oriented residents of the rural town of fewer than 1,000 people helped her get there. They taught her the importance of integrity, a strong work ethic, the value of relationships and a commitment to excellence, she says. She has applied those values to her professional life ever since. ?All of those things are important every day,? says Miller. ?You?re competing with other firms … so you have to work harder and smarter and develop deep relationships. And you have to have integrity, especially in a world where there is so much money involved.? Miller has a bachelor?s degree from North Carolina A&T State University and an M.B.A. from Harvard Business School. She is also a certified public accountant. Prior to joining Lehman Brothers in 2004, she spent five years at Goldman Sachs as vice president of Institutional Business Development. She began her Wall Street career 18 years ago at Nations Bank as an investment banker. Miller is the recipient of the Securities Industry Association Diversity Innovative Leadership Award. She is a member of the Executive Leadership Council and serves on the board of the Women?s Venture Fund, Uth Turn and the Executive Advisory Council of North Carolina A&T State University.